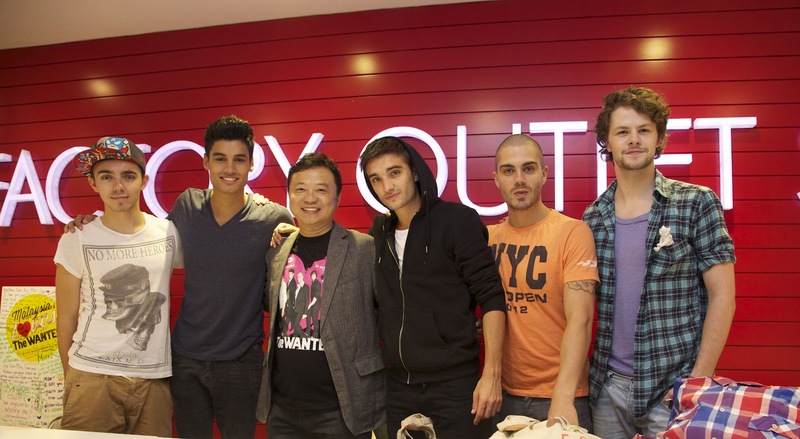 UK Boyband THE WANTED launches UNIVERSAL MUSIC APPAREL PARTNERSHIP WITH F.O.S! Kuala Lumpur, 20 September 2012: The Wanted, global boy band sensation with chart topping hits like “Glad You Came” and “Chasing The Sun” was in town for their debut concert in Sunway Lagoon on 17th September 2012. 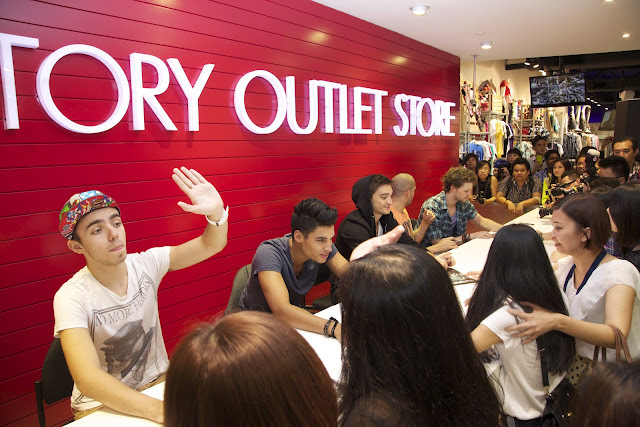 In conjunction, the boys were invited to be special guests to officiate the launch of Bravado Merchandise at F.O.S (Factory Outlet Store). The Wanted, along with Mr. Ho (CEO of F.O.S) and Mr. Khoo Hsien Li (Senior Business Development Manager of Universal Music Malaysia), officially launched Bravado Merchandise at F.O.S 1 Utama on 18th September 2012. This marks an iconic partnership between the world’s #1 music company together with one of the largest and fastest growing fashion apparel retail chain in Malaysia. Fans have been queuing at the entrance of F.O.S 1 Utama as early as 11am, eagerly waiting for the arrival of their idols. The Wanted promptly arrived at the scheduled time of 7pm to be greeted by overwhelming cheers and declarations of love from over 500 fans. 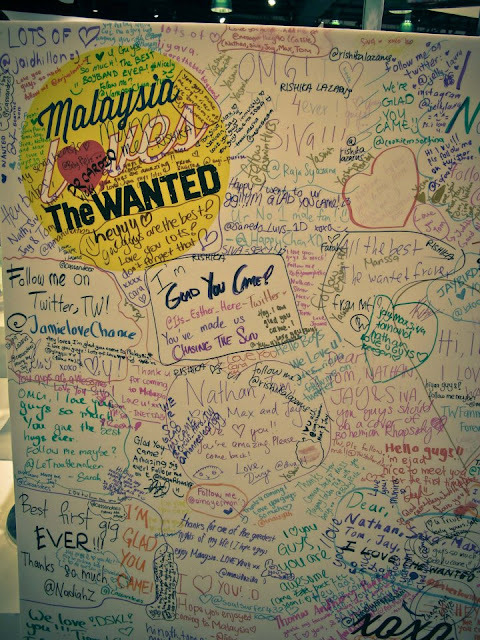 The messages wrote by the fans to the boys. Me and my sister , puisan arrives F.O.S at about 7PM and meet up with Amanda babe. Amanda and me , photo by Jaz Khai. Group picture with the Advertlets bloggers and friends. 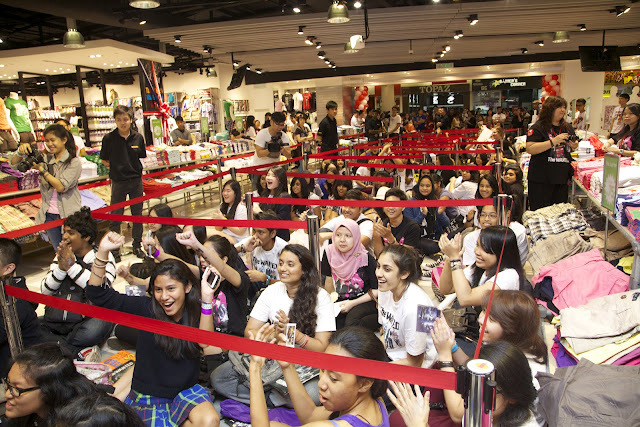 The fans waited patiently for the boys. 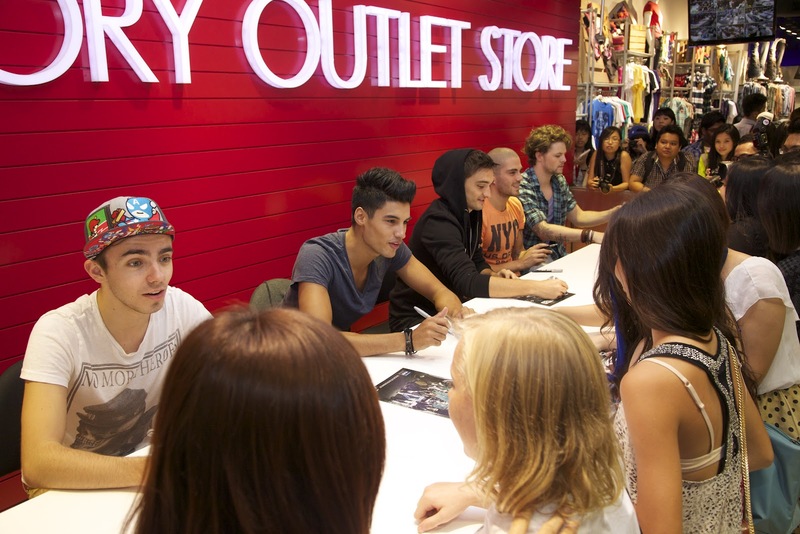 All fans are feeling super excited and touched meeting The Wanted. 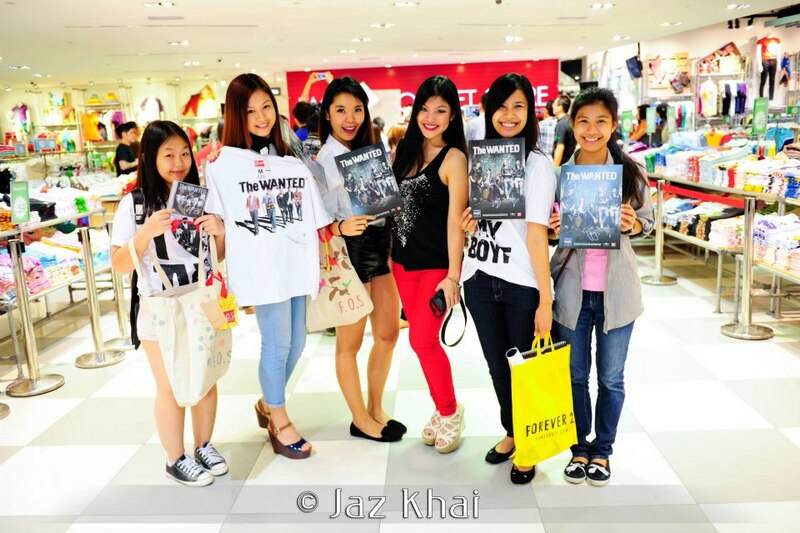 Siva is having fun meeting the fans from Malaysia ! “The Wanted’s star appeal is incredible! It has been a while since a boy band has been this massive. 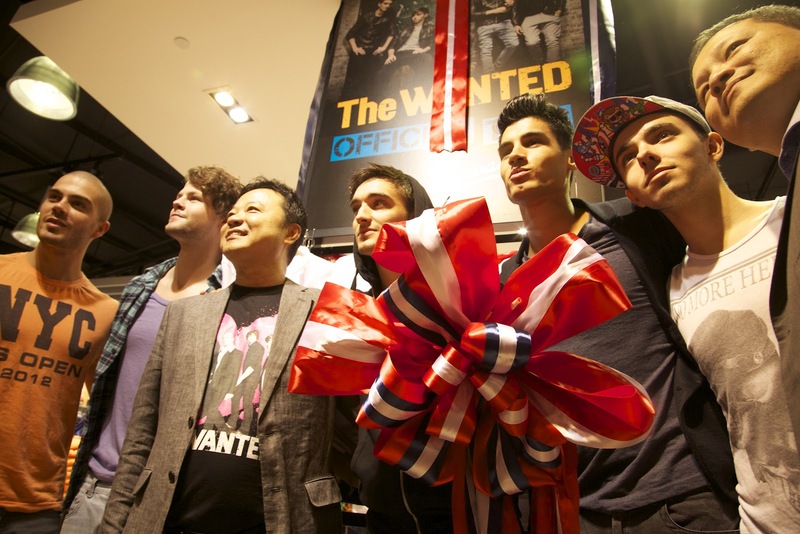 Today, The Wanted has proven to us the kind of hysteria music can provide to their adoring fans. 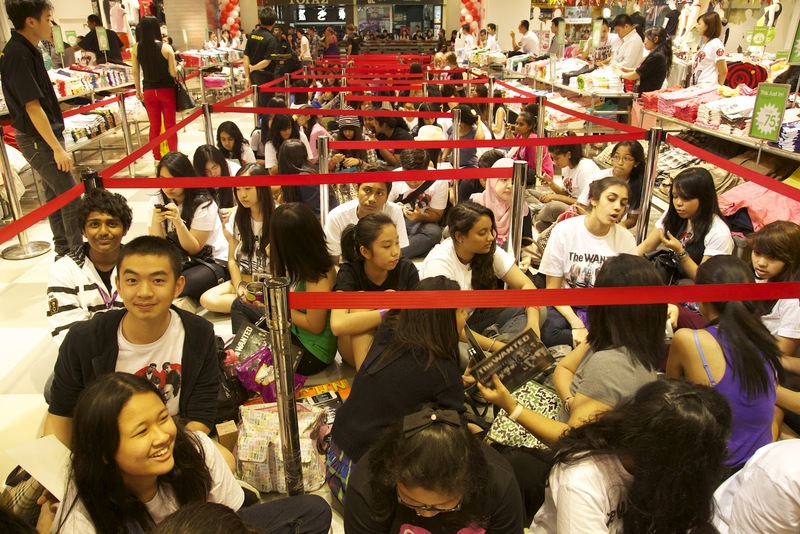 The power of screaming, crying and excited fans transformed a normally mundane Tuesday evening to a complete state of frenzy,” expressed Mr. Khoo. 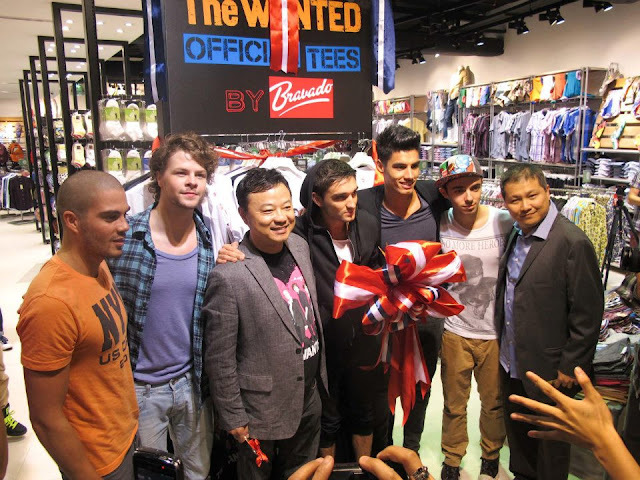 The Wanted, Mr. Ho of F.O.S and Mr. Khoo of Universal Music Malaysia took center stage for the ribbon cutting ceremony to officiate the launch and availability of Bravado Merchandise at F.O.S. Consequently, this now means international artistes’ official merchandise is now available at F.O.S. Bravado International Group is acknowledged to be the industry leader in the field of music and entertainment merchandising. Bravado is the only truly global, 360º full service merchandise company in the world. Bravado provides clients of both domestic and global popularity with a professional, sophisticated merchandising operation. It excels in care and attention to detail. From development and designs through to distribution, Bravado’s constant aim is to maximize artistes’ revenues with products of the highest quality. Bravado works very closely with artistes and management to develop tailored licensed product offering for retail partners to drive foot traffic into store and maximize sales. Bravado designs world-class product range that is innovative for artistes. All merchandise is meticulously designed to appeal to everyone regardless of age, gender, the fashion-conscious, newcomers and diehard fans. Bravado has well-established relationships with some of the biggest names in global retail with over 150 exclusive world rights to A-list music artistes such as Lady Gaga, Justin Bieber, Metallica, Guns N’ Roses, The Rolling Stones, Led Zeppelin, Michael Jackson, Linkin Park, Green Day and many more. “The secret to producing great merchandise is doing the job with passion. For Bravado, we live the passion daily and combine it with a deep understanding of artiste development, brand enhancement and diverse territorial trends. On top of that, Bravado offers a perceptive and cutting edge awareness of what’s hot and what’s not in the international fashion industry,” says Loan Cheong, Managing Director of Universal Music Malaysia. 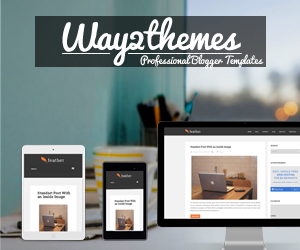 “It’s all about the product! Before Bravado, it is relatively difficult for local music fans to get a piece of their idol’s merchandise. Now with Bravado available locally, music fans can purchase their favourite artiste merchandise with ease and less hassle. We have the product; hence it is essential for us to carefully select the right partner to work with on bringing Bravado to the masses. Without a doubt in our minds, F.O.S is that ideal partner in the local fashion retail industry. F.O.S has the reach and distribution that spans across the whole of Malaysia. Most importantly, F.O.S shares the same vision as us in providing great quality products at an affordable price to all, and the belief in the power of music,” continued Loan. 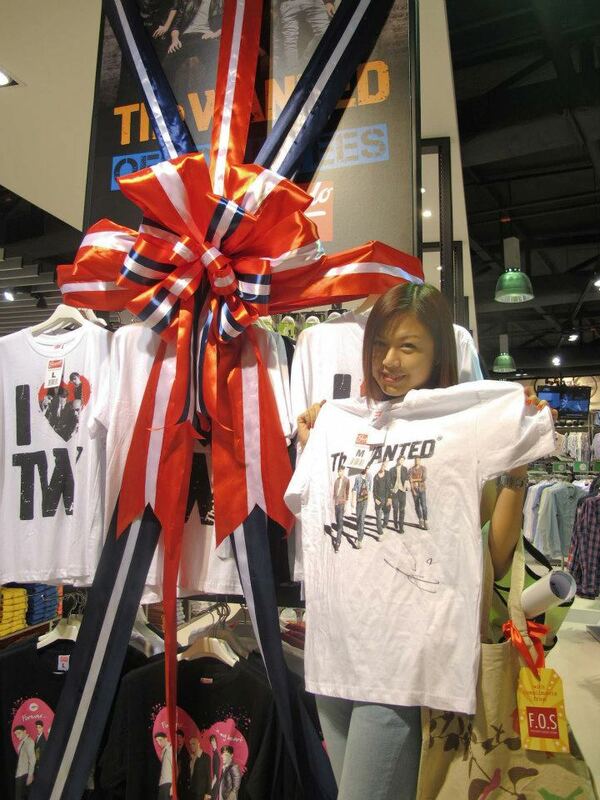 “The Wanted sets a great example and a great kick start to a bright future in music merchandising in Malaysia. I can proudly say that F.O.S has now established themselves as the one stop fashion outlet when it comes to music and entertainment merchandise. 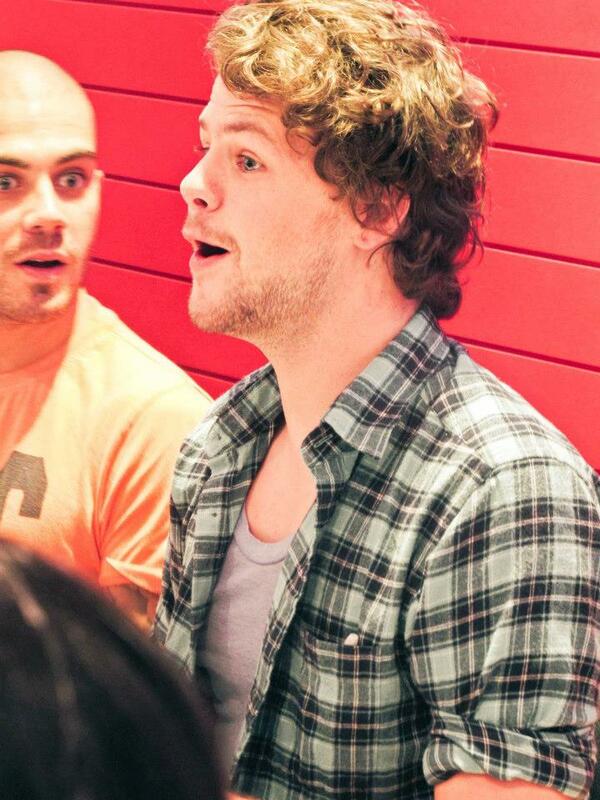 The Wanted is just a start to many more collaborations that we have in the works with F.O.S. I can assure all Malaysian music lovers that they are in for a real treat!” stressed Loan. With the acquisition of Bravado International Group, Universal Music Group has yet again established themselves as the world’s #1 music company, providing unparalleled scale and marketing strength and becoming the trend setter in the music industry. 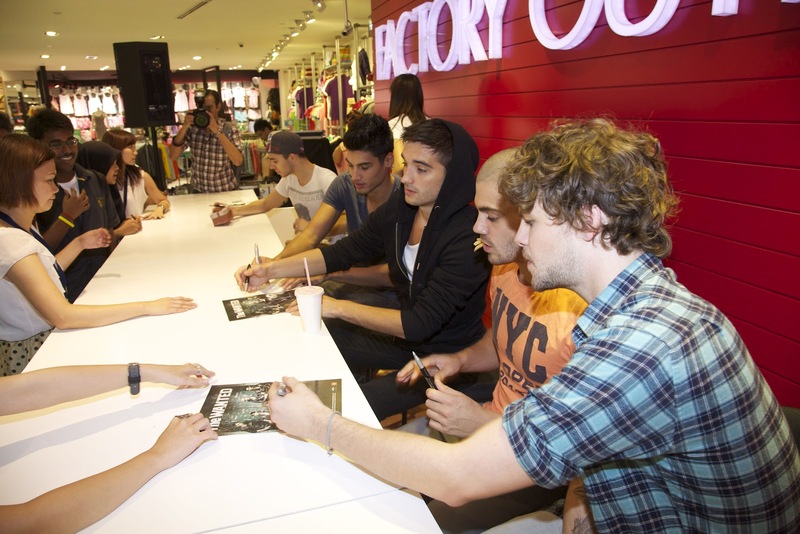 After the launch, fans of The Wanted were then treated to an hour long Autograph Session with their idols from the UK. 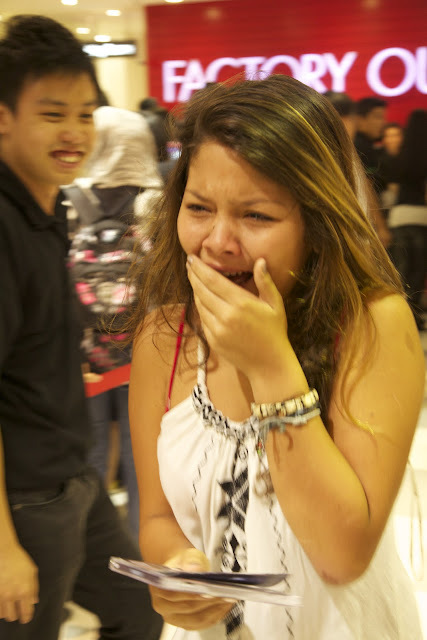 Not only did the boys sign on their Special Edition albums and posters, but they also gave hugs and high fives to their adoring fans. The Wanted stayed till each and every fan that turned up for the launch got an autograph from them. The hardworking boys, who skipped dinner for the Autograph Session, then proceeded for interviews with radio stations as part of their Special Edition album promotion. Universal Music Group is the world’s leading music company with wholly owned record operations or licensees in 77 countries. Its businesses also include Universal Music Publishing Group, the industry's leading global music publishing operation. Universal Music Group's record labels include A&M/Octone, Decca, Deutsche Grammophon, Disa, Emarcy, Fonovisa, Interscope Geffen A&M Records, Island Def Jam Music Group, Lost Highway Records, Machete Music, MCA Nashville, Mercury Nashville, Mercury Records, Polydor Records, Show Dog – Universal Music, Universal Motown Republic Group, Universal Music Latino and Verve Music Group as well as a multitude of record labels owned or distributed by its record company subsidiaries around the world. The Universal Music Group owns the most extensive catalog of music in the industry, which includes the last 100 years of the world's most popular artists and their recordings. Universal Music Group’s catalog is marketed through two distinct divisions, Universal Music Enterprises (in the U.S.) and Universal Strategic Marketing (outside the U.S.). Universal Music Group also includes eLabs, its new media and technologies division; Bravado, its merchandising company; and Twenty-First Artists, its full service management division. F.O.S is an established clothing retail chain that specializes in affordable and quality apparel. F.O.S is well-known in the local fashion market for their range of off-price apparel in imported stock lots and overruns. Cancellation orders of stock provisions from international renowned brands unavailable locally are made available at F.O.S at only a fraction of the original retail price. 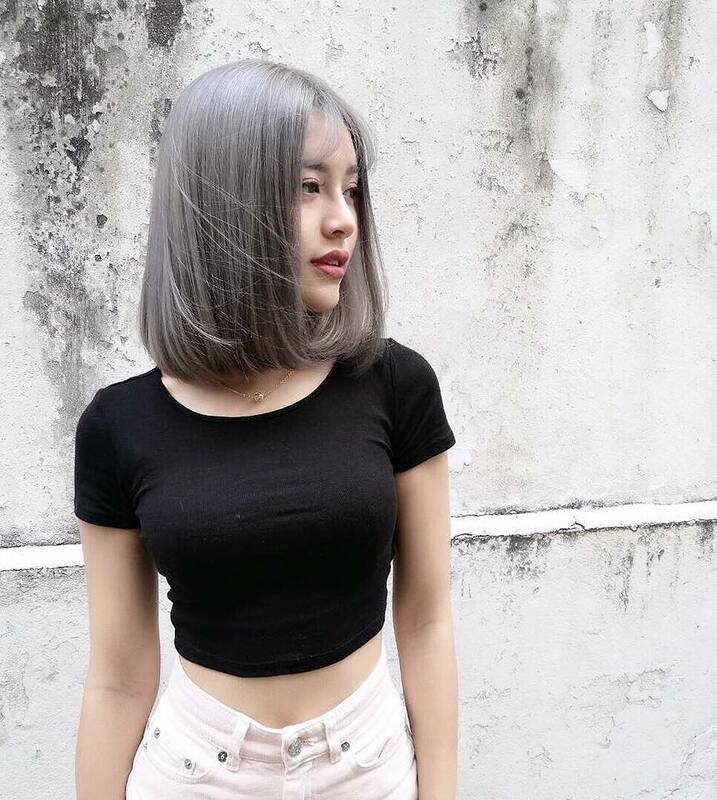 F.O.S currently has 50 stores in Malaysia, and 5 in Vietnam. Visit www.fos.com.my for more information and full list of stores.